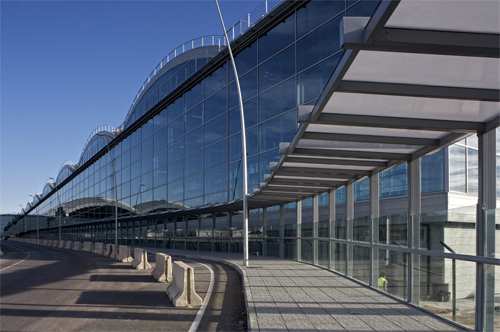 The new Alicante Airport was officially opened 23 March 2011. It is of contemporary design with high ceilings and flowing lines: it has an open, airy feel. Depending where your aircraft is parked, there are of course the potential long walks to the Baggage Reclaim area but, although the corridors are somewhat stark (which seems to be the preferred choice of today’s architects), the airport is clean and bright. Once you have completed the Immigration formalities continue to the Baggage Reclaim Area. If you have any bags to collect make sure you check them for any damage (it happens) before you leave the area: ensure you report any damage or (should the worse happen) any lost baggage to the airline representative. You will need to complete a report form. If you do not make the report at this point the airline will not entertain any complaints later. Continue then through the customs area toward the exit. 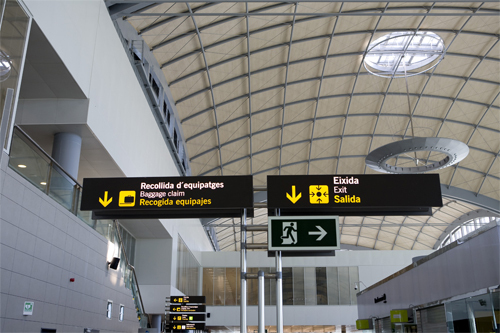 There is only one “Arrivals” exit at Alicante Airport so just follow the signs. If you have pre-booked a hire car with Drivalia, follow the “Bus Shuttle” signs down to floor -2 (Minus 2). Turn left and make your way to Bays 1, 2 and 3 toward the end of the terminal building. The Drivalia complimentary shuttle bus service picks up and drops off here. The shuttle service runs regularly throughout the day and so if there is no bus on arrival don´t worry, it will be with you soon. Once aboard the driver will take you to the Drivalia office on the outskirts of the airport less than 4 minutes away. If you have made other plans you can find more information about Alicante Airport Arrivals on the official Aena Aeropuertos website. All Drivalia customers will be taken by complimentary shuttle bus to the Terminal building and dropped-off back at Bays 1, 2 or 3 on level -2 (Minus 2). Take the lift or travelators up to Departures on Level 2. Check the indicator boards for your check-in desk. There are refreshment outlets both before and after Security.In the Departure lounge there is, of course, Duty Free shopping and a range of places to have a drink or a bite to eat. 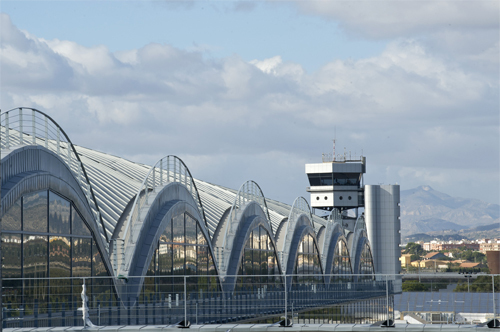 For further Departure information visit the Aena Aeropuertos website. 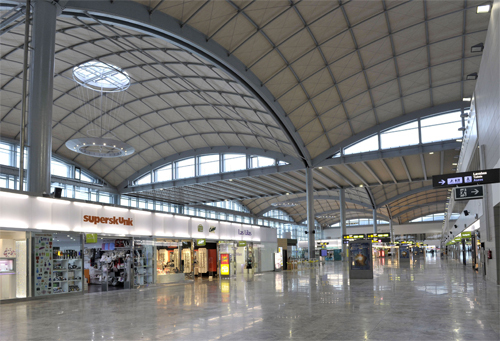 If you have any tips for arriving and departing Alicante Airport we would like to hear from you on our Facebook page.